My first 30 days at The Junto Institute have been a pleasant whirlwind full of self-awareness, professional development, and new friends. Through all of this, there has been one common theme that I have taken notice of: people are facing many obstacles in their businesses, but almost always, someone has been in their shoes before. The beauty in that dilemma is something we at The Junto Institute call “shared experiences.” This phrase has become an exercise we use on a daily basis. It is in these shared experiences that I have had the pleasure to hear some of the most heartfelt, supportive explanations of how sh*t hit the fan for someone else, but more importantly, how they are alive and breathing, and still successful in their business venture today. This marvelous unraveling of the human capacity to make mistakes and learn from them has led me to firmly and wholly believe in one definite truth: you and I are not alone. So often I find myself in a conflict at work with various pending outcomes. If I choose path A, I could miss out on what path B could bring to the table, or path C (and so on). I may vet each outcome, making sure that the result gives me the output I am searching for, or I may just jump right in and hope for the best. What am I seeing now that I have been submerged in the culture and programs of Junto? While I am contemplating which paths to take, I am unaware that there could be an entirely different road, train or even airplane that I could be taking. I learn this from others who have been there, done that. My biggest “Aha” moment since joining Junto is not that I “don’t know what I don’t know” but rather the simpler realization that I can’t know what I don’t know. I hear the catchphrase, “it is lonely at the top” or “fear of failure,” and I think, If you only knew. If you only knew that you’re not alone in this, that others are going through the same roadblocks, and that together we can learn, adjust and grow ourselves and our businesses. When someone shares an experience, I am filled with humility because of their candor, but also, because they understand what the other is going through; they have been there. It becomes one of those you-gotta-see-it-to-believe-it conundrums - this idea of growing together instead of just growing yourself - and because I have witnessed the positive ripple effect of shared experiences first-hand, I never want to revert back to trying to figure it all out on my own. For one, I know that there is true strength in numbers, but also, if I can learn from others’ successes or failures, I know that I will have a more well-rounded mindset when it comes to solving the problems I face. 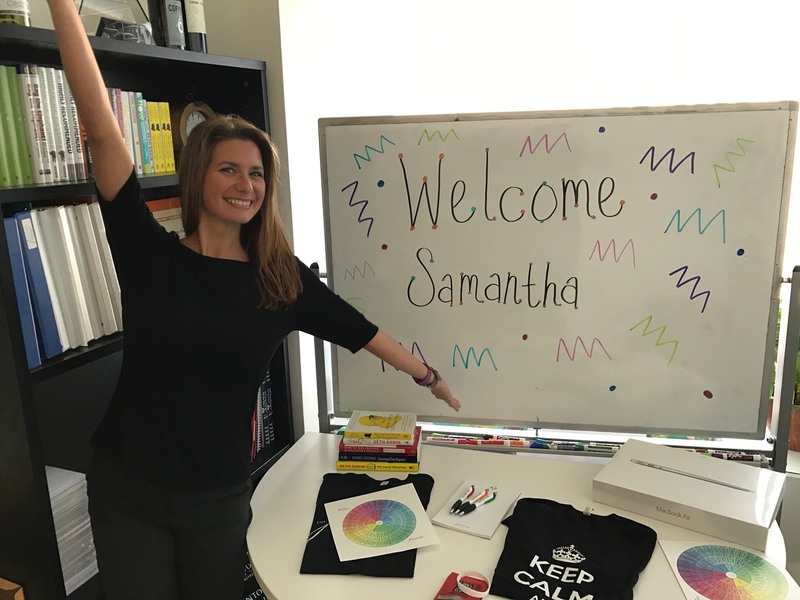 Samantha Mikos recently joined The Junto Institute's team as Marketing and Community Manager.